THE Only 2018 National Blue Ribbon School in Phoenix. Spaces are filling up quickly. Fill out this form to request an enrollment packet today. *No cost transportation is provided for students at existing bus stops and where sufficient demand warrants creation of a new stop within existing bus route radius. Vista College Prep opened its first campus, VCP-Hadley in August of 2013. Since then, VCP has built a reputation for academic excellence. For three straight years, among all school in Phoenix with over 90% of students qualifying for Free or Reduced Priced Lunch, Vista College Prep students have had the highest scores in both Literacy and Math. Vista College Prep was named a 2018 National Blue Ribbon School, the only school in Phoenix to receive the award. 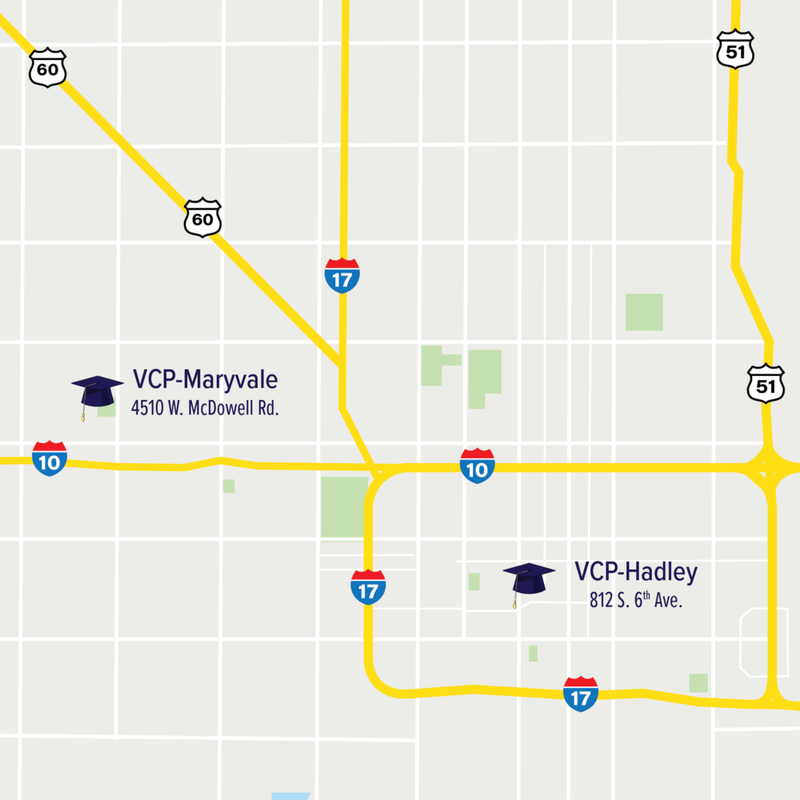 In August 2017, VCP opened its second school, VCP-Maryvale. For the 2019-20 school year, VCP-Hadley will serve students in grades K-5, VCP-Maryvale will serve students in grades K-4, and VCP’s Middle School will serve students in grades 6 and 7. Vista College Prep has been featured in The New York Times, the Phoenix Business Journal, and local Phoenix news stations.